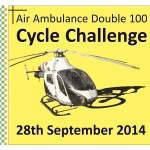 Cyclists are being urged to get on their bikes for Kent, Surrey & Sussex Air Ambulance’s annual Double 100 Cycle Challenge this Sunday (September 28th). 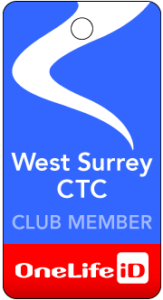 The Double 100 is a 100-mile or 100km ride which starts and finishes at the helicopter bases at Marden in Kent and Redhill in Surrey. Air Ambulance doctors, paramedics and staff members are among more than 200 riders who have signed up so far with more welcome to enter now or on the day. This year’s ride will include two new circular routes through the counties covered by the air ambulance and marks the first anniversary of the launch of the life-saving charity’s night flying service. Last year’s event raised more than £12,000 and the air ambulance is aiming to double its success this year with a new starting point at the charity’s Marden headquarters. We are delighted with the response this year. It promises to be a great ride for the cyclists and with the money raised it will be a great day for the Air Ambulance too. This year’s Double 100 has been backed by main sponsor Fidelity Worldwide Investment who have entered a team of 40 cyclists. Fidelity is delighted to be supporting the Double 100 Cycle Challenge and helping to raise money for this incredibly worthy cause. The air ambulance is a vital service in this area and we recognise the significant contribution they make towards saving lives in our community. We are looking forward to many of our employees participating in the event. The 2014 Double 100 has also been sponsored by Howard Cundey Chartered Surveyors and Estate Agents, and supported by Halfords, the Asda Foundation, Warburtons and Southern Water. The ride is open to regular and occasional cyclists including individuals and teams with feeding stations along the scenic route.